Women take great pains to grow and maintain their hair, which forms an essential part of feminine beauty. In India, women endowed with thick dark tresses are considered fortunate! Every young girl loves to have bouncy, thick, lustrous hair. Traditionally, women put in great efforts to prepare herbal oils and powders for hair care. My grandmother never allowed us to use 'shampoo' when we were young and always used homemade hair wash powder for washing hair. 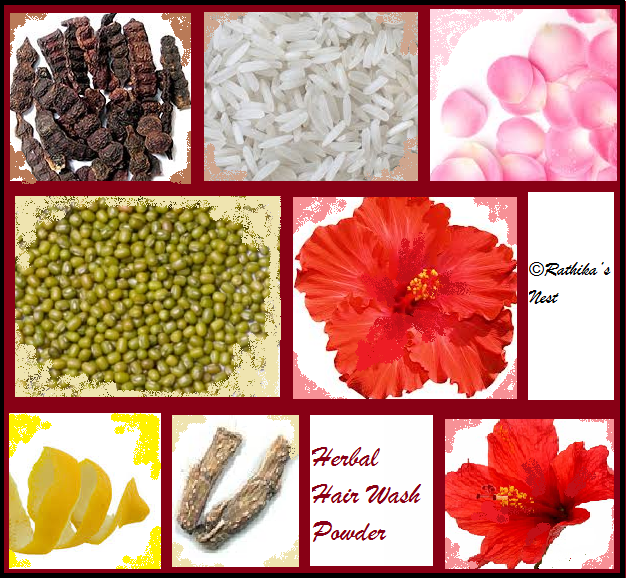 Herbal hair wash powder is better and safer for hair care as it does not contain chemicals. Let us see how to make it. 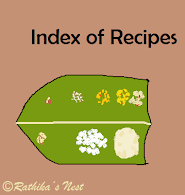 Note: Sweet flag is added to prevent infestation by weevils and other bugs. Method: Dry all the ingredients in the hot Sun for 2-3 days. Grind them into a fine powder in a neighborhood flour mill. You may store the powder in a clean, dry, airtight container. How to use: You may apply coconut oil or herbal hair oil to the scalp. Start applying oil little by little, covering the entire scalp. Massage your scalp with finger tips and allow the oil to stand for 1-2 hours or overnight. Mix herbal hair wash powder in little water to make a thick paste. Wet your hair and apply this paste to the scalp. Massage gently and wash off the powder by rinsing your hair in running water. Please note that this powder will not lather like shampoo. You need to use generous quantities of water to wash off the powder. Caution: Make sure that the hair wash powder doesn’t enter your eyes, as shikakai (Acacia concinna) may cause eye irritation.